Cork are currently fourth in the standings, three points clear of Mayo, and a victory for the Rebelettes on Sunday (12pm) would see them through to the knockout stages. Meanwhile, champions Dublin have made five changes to the side that beat Monaghan for Sunday’s clash with Galway in Moycullen (2pm). This fixture will be streamed on the Ladies Gaelic Football Association’s Facebook Page and features two counties who met in the semi-finals of the 2018 league and All-Ireland championship. Elsewhere, Tipperary and Monaghan are both unchanged for Sunday’s crucial clash at Semple Stadium in Thurles (12pm), in what is another double-header fixture. 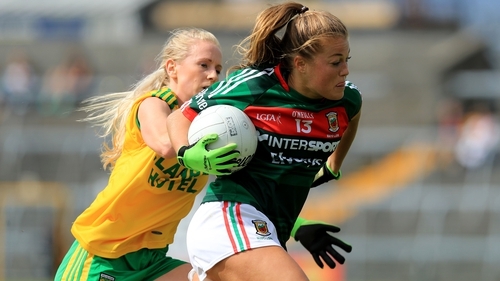 Maxi Curran’s side have home advantage against Westmeath in Letterkenny (4pm), and the manager has brought in Aislin Nee for Aoife McColgan in goal, while former All Star Niamh Hegarty replaces Shannon McLaughlin in attack.